Got a crowdfunding project? Need models? read on! 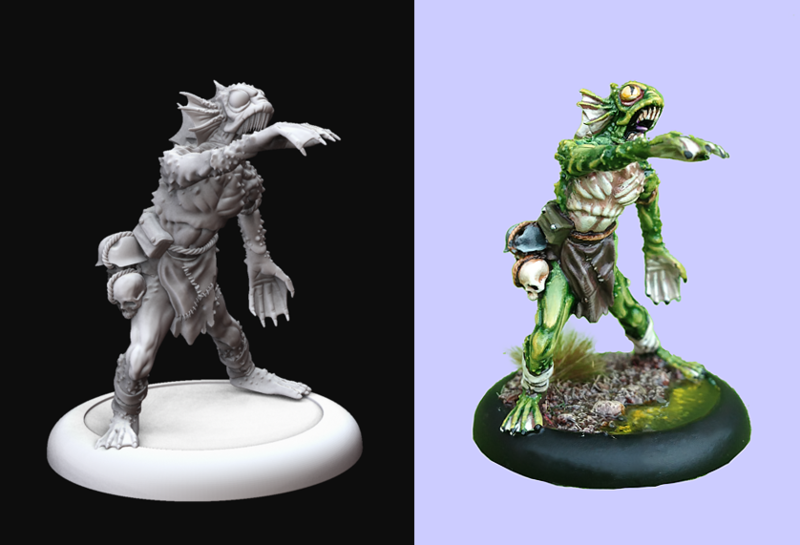 Elemental Miniatures, working with Clockwork Goblin, offer the only complete miniatures production and distribution service specifically aimed at crowd funded projects. 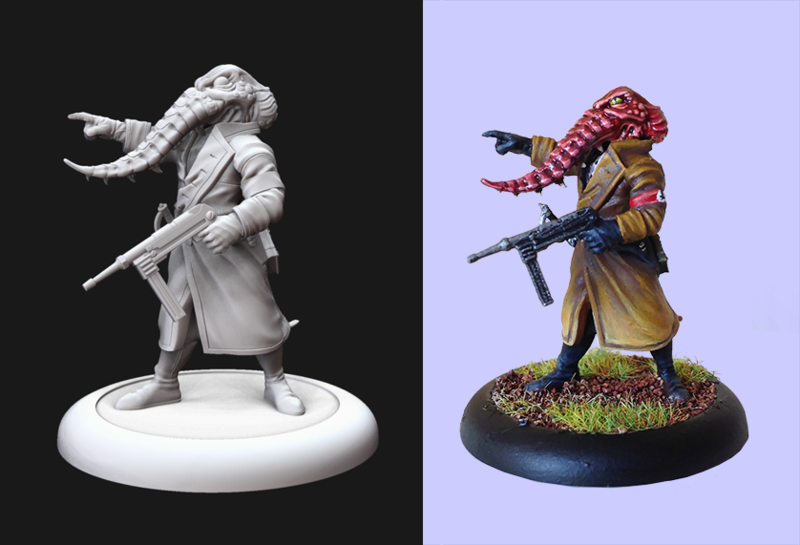 Having supported successful campaigns such as Achtung Cthulhu, Space 1889 and Guild Ball we offer a tested and proven service to support the kickstarter or indiegogo funding model. Begin your project with actual models, not just renders, and proceed knowing you have a solid manufacturing solution already in place. All our costing is simple and transparent, so you can easily plan pledge levels and goals. We have experience producing models for world wide shipping in resin and metal and our production team has worked on some of the biggest model ranges in the hobby. What are the benefits of using our miniatures service? You decide- make, mould, pack, distribute- we can assist with any or every stage for you. Launch right- Start the project with at least one finished and cast model design and add legitimacy to your pitch. Be confident that the designs you show truly reflect the models you will supply. Gain attention- Use high resolution images and photos to promote your project. Progress Quickly- Choose additional figures from your list of planned designs as your project achieves its goals. Our fast production turnaround means that model designs can even be added 'live' during the project period. You can be adding new models every week! Support your backers- Digital design means you can be highly responsive to backer feedback. Control costs- Pay a little upfront to launch. Pay the balance on your miniatures only when you fund. Meet expectations- Miniatures dispatch in a timely fashion with distribution options to suit you. miniatures production process, so that you can focus on running an effective & successful campaign. 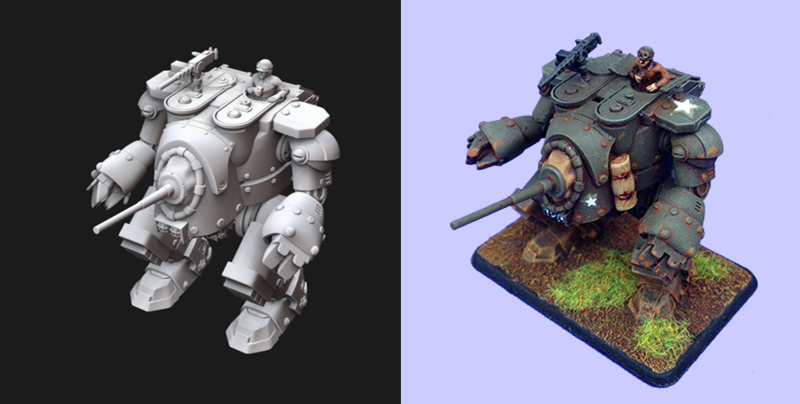 After your project funds, you will be able to pay the balance on your commissioned designs and we will be able to enter full production of models based on your pledges. This means producing the miniature masters, making full production moulds, casting the models to meet pledge numbers and packaging them for distribution. If you have added additional models during the project, time will be needed to sculpt these designs. We will advise on this scheduling as the project unfolds so that your backers are fully informed. After sculpting is completed, it will take approximately two months to print, check and mould your finished models for casting. Depending on what payment options you have made, some of this work may have been completed before the end of the project. The final cost per model for casting will depend on the size and number of parts the model requires. As a rule, the more dynamic and complex a figure design is, the more parts will be needed. We will have advised you on the parts and likely cost of a figure well before the end of your project, so you have all the information you require. We can also supply bases, blister packs and blister packaging artwork. Again, these options will have been discussed before the end of the project. We also offer an artwork service for blister backing and can supply .psd templates if you plan to make your own. What happens if the project doesn't achieve its target? We know that unfortunately, some projects do not achieve their goals. If this looks likely during the project, we will discuss how to proceed with you, so that you are not financially over committed. If the project fails to achieve its funding, you can still choose to pay for all of the models you have ordered so far and have your miniatures range manufactured and ready to sell. You can also pay just for your designs and take the option to manufacture your models at a later date. 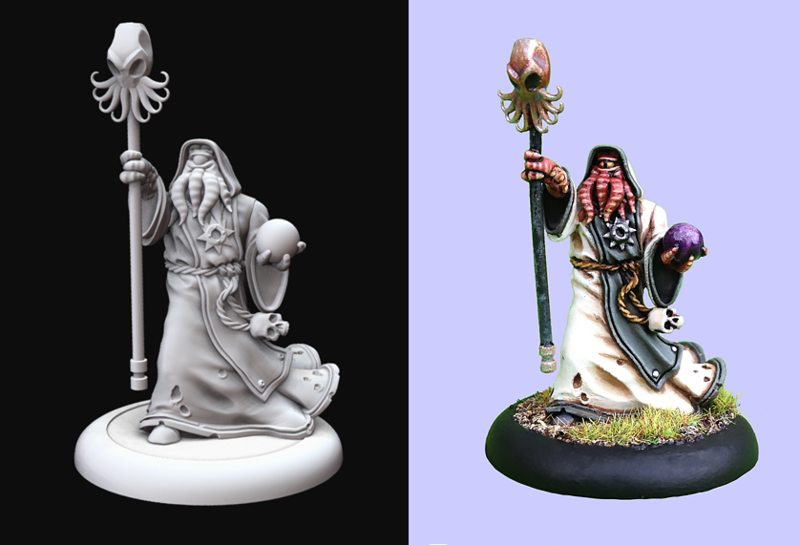 If you decide you cannot fund the balance on any models that have begun the design process, you pay no further money and Elemental Miniatures becomes the owner of the models with the right to further design, produce, and sell them if we choose to. You'll have 30 days after the close of your project to decide what you would like to do. After this date, Elemental Miniatures assumes ownership of the models as described above. If you'd like to know more, email russ@elementalminiatures.co.uk or us the Contact Form to get in touch!